The Zetas have hinted that the 2016 Presidential elections in the US might be deferred or delayed ever since Obama joked around about his Third Term in August, 2015 on the Jimmy Kimmel show. ZetaTalk Prediction 8/1/2015: Might Obama delay or cancel the 2016 elections and continue, under some kind of Executive Order, into what would be called a third term? Then Obama laid it out for Hillary during their December 7, 2015 luncheon at the White House. He would not interfere with the FBI or DOJ, and might defer the elections due to the pending Nibiru announcement. 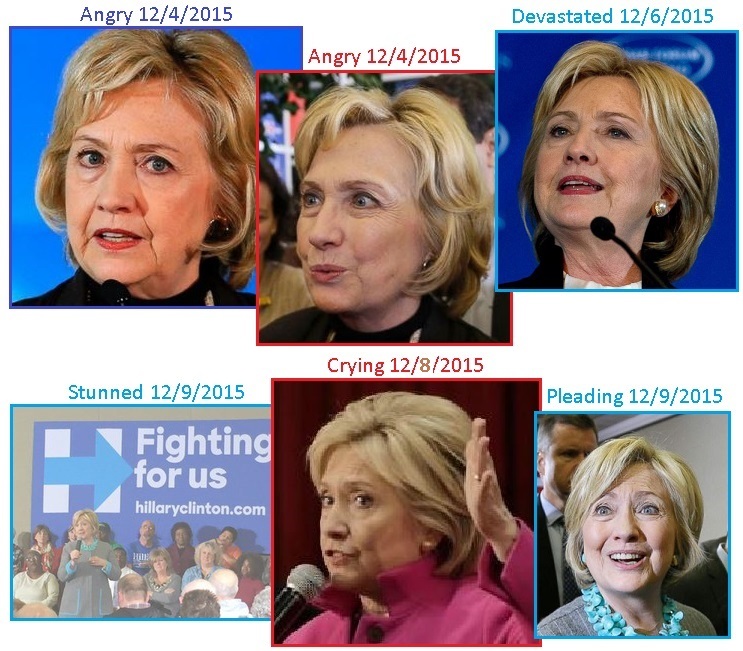 Hillary could then be indicted, and denied what she viewed as her right to ascend to the Oval Office. Hillary was not pleased, but Dunford was in control. A race to the White House ensued, with Hillary trying to get there, to be in charge, before an indictment and certainly before a court could adjudge her. Then she could pardon herself, and order the case dismissed. Meanwhile, the option to defer the 2016 elections continued. ZetaTalk Prediction 12/12/2015: The outcome depends on Obama, who indeed plans to defer the 2016 election at some point due to the announcement admitting that Nibiru exists. ZetaTalk Prediction 4/16/2016: The possibilities include a de facto admission that Nibiru is in the solar system and nearby, rioting and banking failures as a result, serious New Madrid devastation requiring martial law to be instituted in the US, the indictment of Hillary with her stubborn insistence that she will prevail in any trial, the DNC recruiting Biden to replace Hillary, or the need to delay or defer the 2016 elections. Now at the cusp of having the DNC choose a nominee, with neither Hillary nor Bernie having the requisite number of pledged delegates, the plot has thickened and polarized. Obama endorsed Hillary, while simultaneously during a White House press briefing Josh Earnest described (for the first time) the FBI investigation as a “criminal” investigation. What is this double speak? The Zetas clarify. President Barack Obama endorsed Hillary Clinton, saying, “I don’t think there’s ever been someone so qualified to hold this office." White House press secretary Josh Earnest insisted that President Obama's endorsement of Hillary Clinton will not "sway" the ongoing FBI investigation into Clinton. The statement came after Obama released a video endorsing Clinton for president of the United States. Later, according to the White House, Obama is meeting with the attorney general. The meeting is "closed press." Barack Obama's spokesman described the FBI's probe into Hillary Clinton's classified email scandal as a 'criminal investigation', less than an hour after the president endorsed his embattled former secretary of state to succeed him. ZetaTalk Analysis 6/11/2016: For almost a year, we have been predicting that delaying or deferring the 2016 election is a distinct possibility. Obama hinted broadly that this was the plan when he joked about his Third Term. At that time, in August, 2015 Obama was planning to make the announcement re Nibiru, operation Jade Helm firmly in place and braced for this announcement. But Obama lacked courage, and by late September, 2015 Dunford took control of the US government. In December, 2015 when Obama and Hillary met for lunch at the White House, Obama looking ashen and Hillary angry, Obama was required to refuse interference. He would not stop the FBI. Meanwhile, Hillary raced to beat the clock, trying to scramble into the White House before an indictment, trying to use her dominance as the presumed Democratic nominee to intimidate Obama. Meanwhile Sanders was taking half the pledged delegates during the primary, preventing her from being the certain winner. Did Sanders know of her pending indictment? This was an open secret in Washington DC, and he was and still is betting that he will become the nominee as this matter plays out. Meanwhile, the investigation spread to the Clinton Foundation and to expedite the Grand Jury proceedings, Dunford used the Court Martial route. Hillary was hoping to keep the indictment or her guilt out of the press, claiming it was all much ado about nothing. But her loyal press is increasingly discussing aspects of the investigation, and using words like “criminal”. Presumptive Democratic presidential nominee Hillary Clinton said there is zero chance and “no basis” that the FBI’s investigation into to her handling of classified material on her private email server during her tenure as secretary of state will result with her indictment. Law-enforcement and intelligence officials said State Department deliberations about the covert CIA drone program should have been conducted over a more secure government computer system designed to handle classified information. The CIA drone campaign, though widely reported in Pakistan, is treated as secret by the U.S. government. Under strict U.S. classification rules, U.S. officials have been barred from discussing strikes publicly and even privately outside of secure communications systems. What will the outcome be? Hillary is almost certain to be the DNC nominee, due to the huge number of super delegates politically aligned with her. Trump is the GOP nominee and running neck-and-neck with Hillary in the polls, even before an indictment is announced in the press. The Zetas are still predicting a deferred 2016 election. 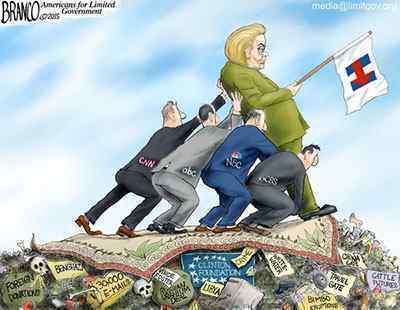 So many forces coming together at one time, a perfect storm to deny Hillary the Presidency. ZetaTalk Analysis 6/11/2016: The announcement admitting the presence of Nibiru in the inner solar system likewise had encountered delays, after Obama’s failure during the Jade Helm exercises, and switched to a multi-pronged approach now in process. The panic in the public expected to create an excuse to delay the 2016 elections has not yet occurred, nor have the Earth changes reached to that level. 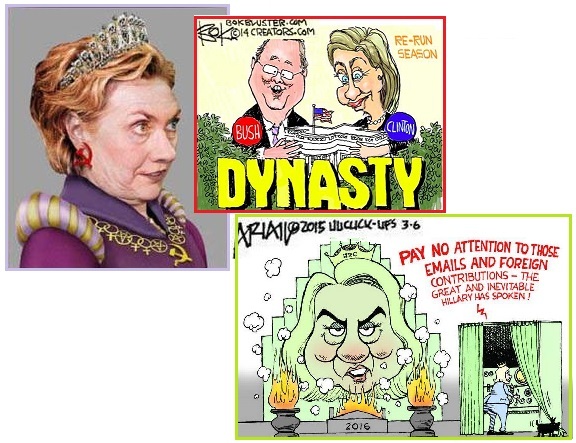 Now we have Hillary crowned in the media as the Democratic nominee, despite lacking the pledged delegates to make this claim, and Obama endorsing her as “qualified” to be President. This is not new, as Obama has been saying this all along. Obama has also been saying all along that he as President would not interfere with the FBI investigation or the DOJ’s business. Thus when the indictments roll out he has the perfect answer for the flood of Democrats who plea with him to prevent the prosecution from proceeding. A President cannot pardon someone before they are adjudged, so likewise he cannot pre-pardon Hillary. Thus she is left blowing in the winds, without the protection of Obama, and he is free of criticism. After all, he did say she was qualified! 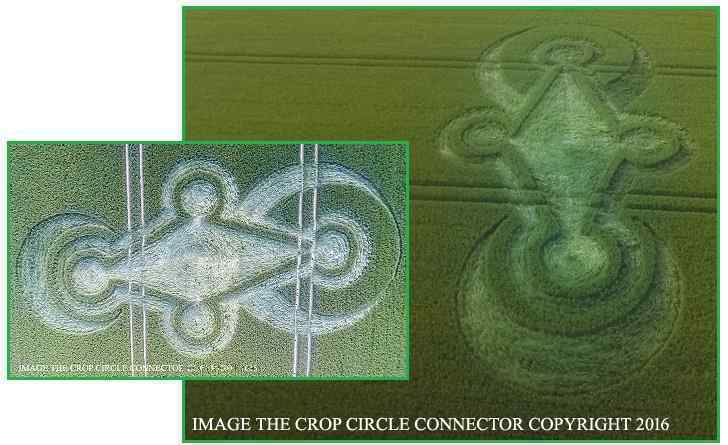 In prior years Crop Circle designs could be spectacular and huge. In 2016 they seem diminutive and simplistic. Per the Zetas, this is by design. 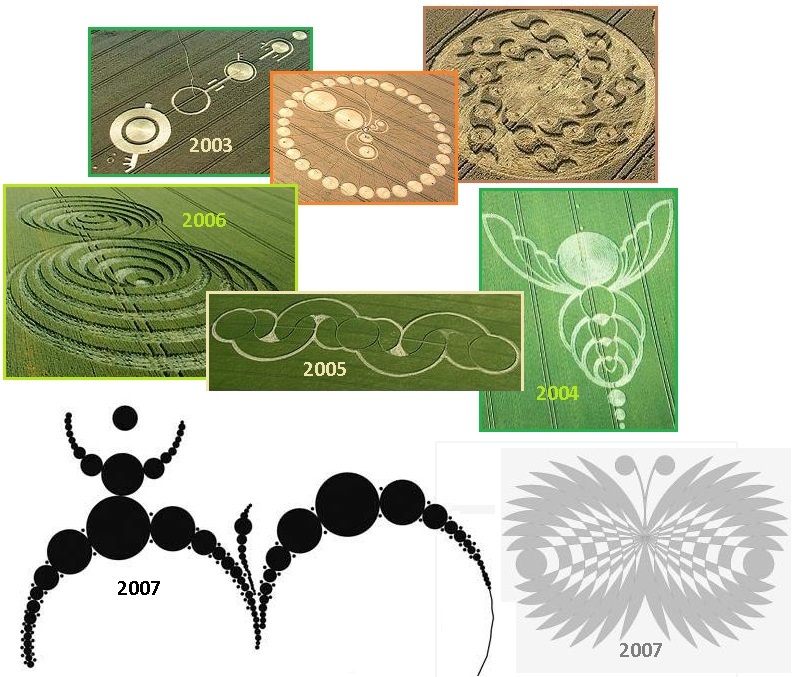 They are, at this point in time, when the Earth changes and visibility of Nibiru have become so obvious, more of a refresher course, ie reminder Crop Circle designs. As in these designs from the UK on May 6 and from the Netherlands on the same day and Germany on May 18 and again Germany on May 27 and the UK and the Netherlands on June 6 and in Italy on June 8 show. 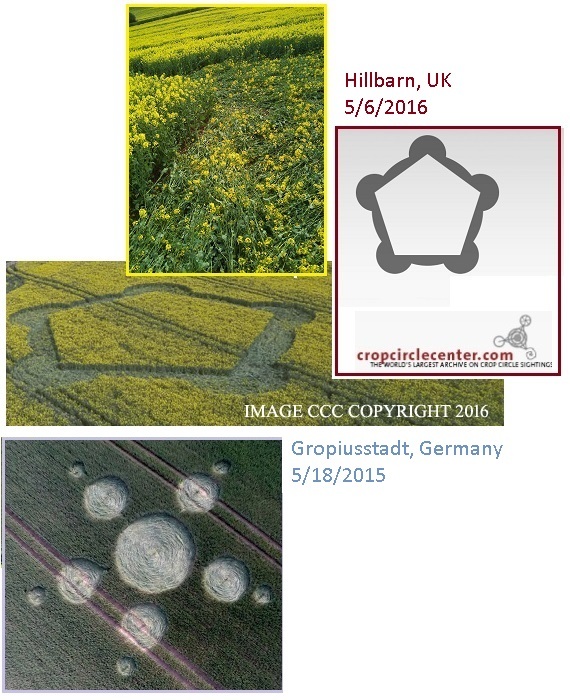 ZetaTalk Analysis 6/11/2016: This legitimate crop circle design is clearly showing pressure from one direction, which can be none other than the approaching Nibiru. The magnetic and gravity particle flows coming from Nibiru do not have freedom to disburse on the Earth side, thus a crowding occurs. The Dark Twin tries to slip into whatever void is available. If Venus is creating a crowding on the left, the Dark Twin will try to position itself on the right, and vice versa. There is no relief shown in this design, only increasing particle crowding intensity, which as we have stated will not be relieved until the Last Weeks. ZetaTalk Analysis 6/11/2016: In a year when the Earth changes have increased to the extent that even subconscious knowledge of what is pending is pushing to break through to the conscious, Crop Circle designs have become only a reminder of what the many contactees on Earth have learned from their contact. We have stated in the recent past that fully half the world’s human population are contactees, and this number has risen to be closer to 2/3 of the world’s population. 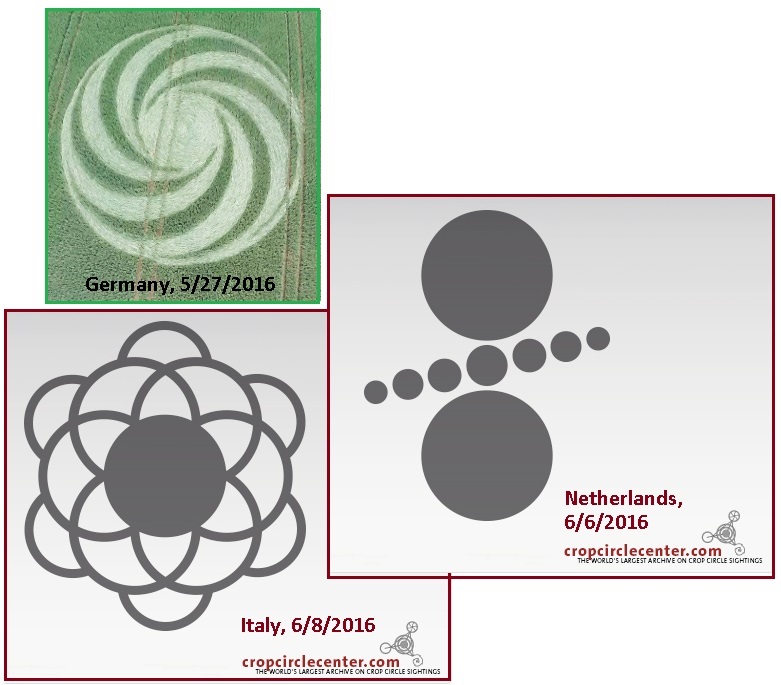 Thus the recent batch of Crop Circle designs laid in Europe each have a singular message, simply stated. The German swirl shows the retrograde orbit and rotation of Nibiru. Both the Netherlands and Italy designs are referencing the Earth wobble. Netherlands shows the degree of tilt possible during the Earth wobble. ZetaTalk Interpretation 5/14/2016: The Earth has three magnetic influences – the dominant vertical magnetic alignment of the Sun, the horizontal magnetic alignment of Nibiru, and the Earth’s own magnetic alignment as she struggles between these two conflicting voices. In addition the Earth has Venus and the Dark Twin caught in the cup with her, which are gravity influences. In May, 2015 all these influences were not equal in force, and not equal in strength, thus the daily polar push when the Earth’s magnetic N Pole came up over the horizon to face Nibiru just to the right of the Sun was violent, increasingly so. The Hillbarn CC is predicting an increasingly violent wobble, thus. In step with this message from the UK is a circle design in the Netherlands, laid the same day. 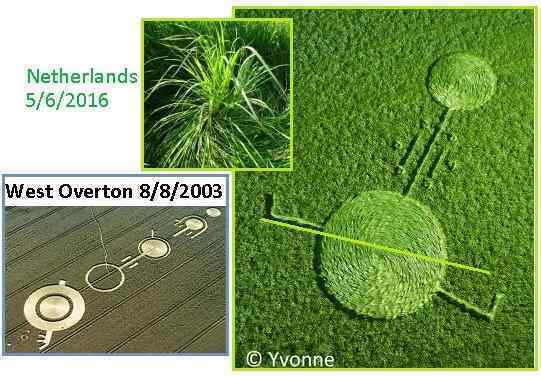 In 2004 we described the parallel lines along a line connecting two planets in a crop circle as depicting magnetic alignment, a side-by-side alignment. The handle bars on either side of the Earth are not even, with the bar on the left at an angle which equates to a 20-30 degree offset on the other side of the globe. There have been pointed warnings in the press of late, pointing the need for the populace to prepare for pending disasters. For instance, the Washington DC evacuation plan. This implies worry about a pending wobble slosh. What would the emergency be that would require the entire city to leave, peacefully, in their cars? Not a bomb, as no one would be mobile after the bomb went off. 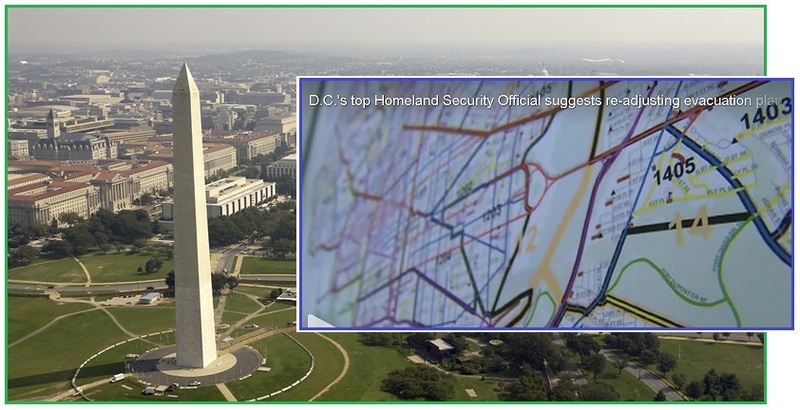 Not terrorism either, which is more local to a site such as the Washington Monument. Not a quake, as there is no forewarning for a quake. But a tsunami, approaching, due to a major Earth wobble slosh, would require evacuating low-lying Washington DC. Everyone out - now! If DC had to Evacuate, Would you Know What to Do? DC Homeland Security officials said Monday they could evacuate the city if disaster struck. They are prepared to deploy more than 130 traffic control officers onto DC streets, and would use more than 10,000 security cameras to control traffic lights and move people out of the District. DC’s Homeland Security and Emergency Management Command Center has been monitoring Metro and area roads. If a natural disaster or terrorist attack occurred in the city, evacuation routes would face a crush of vehicles. ZetaTalk Advice 2001: Certainly, being lowland, Washington DC will become uninhabitable by the time the last weeks approach. The European tsunami will not just assault Europe with huge waves. There will be high tides along the East Coast too, and those areas that are virtually at sea level will get their first taste of what is to come. 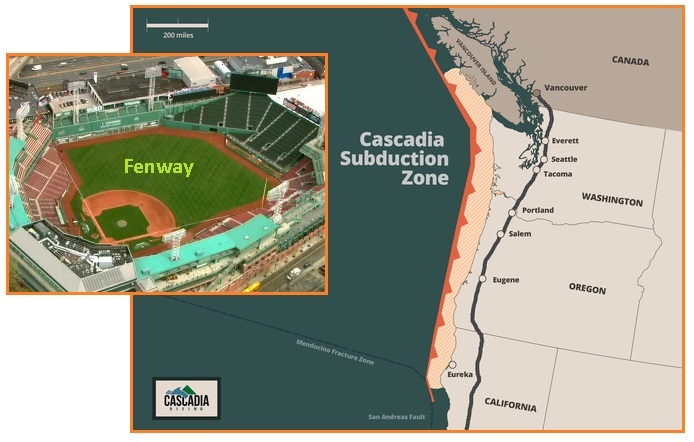 The active and well publicized drill in the NorthWest – Cascadia Rising - is clearly for a massive earthquake anticipated as the Juan de Fuca Plate drives under the N American Plate, clearly something that has happened in the past. Emergency planners throughout the Northwest will be told that a 9.0 magnitude quake off the coast has just occurred, bringing with it five minutes of ground shaking, numerous aftershocks stronger than 7.0, and a tsunami that will decimate coastal communities and surge to the far reaches of Whatcom County’s coastline. Don’t worry, you won’t feel a thing. The exercise is called Cascadia Rising and it’s all make-believe. But it’s very serious, indeed. ZetaTalk Advice 2001: What the vulcanism of the Cascade Mountains tells you is that this range not only has active subduction beneath it, but that the rock layer riding on top is thin. If the rock layer were thick or heavily baffled, volcanism would be suppressed. Imagine the process of subduction over the eons, repeated subduction. At first it is two plates abutting each other or sliding past each other. Then one dives under and the very edge of the plate riding on top is rumpled, mountains building by this rumpling. Then the next instance of subduction occurs years later, and the lip of the subducting plate pushes further, but what happens to the rumpling that occurred the first time? This has hardened, any melting due to friction long cooled, and the very fact that it is rumpled prevents the entire mass from melting again. This process continues, with the original rumpling repeatedly being rumpled until the point arrives where it is above any sliding of one plate over another, riding like foam on a wave. This is indeed a safer zone than your Cascade Mountains for this reason. However, to avoid the possibility of being where any melted rock might occur, do not be in the river valley itself, but rather up in ravines. And for the Fenway stadium in Boston, the authorities are preparing for a terrorist attack. While Fenway was preparing, a nightclub in Florida was hit by what is being called the worst mass shooting in US history. The Boston Police Department, in conjunction with the Department of Homeland Security, the US Army Armament Research, Development, and Engineering Center and Fenway Park will practice and prepare for an active shooter situation. Boston police will put out a casting call for more than 100 volunteers to act as fans. Shooter Omar Mateen, 29, from Port St. Lucie in Florida, opened fire at Pulse night club in the early hours of Sunday, killing at least 50 people and injuring 53 others. This is the first time ISIS has claimed responsibility for an attack on US soil. Shortly before the attack, Mateen, who was born in New York to Afghan parents, called 911 and pledged allegiance to ISIS leader Abu Bakr al-Baghdadi. US citizen Mateen, who was shot dead by officers, entered the nightclub wielding an AR-15 assault rifle and a handgun. He also had an unidentified 'device', said Orlando Police Chief John Mina. Mateen had purchased at least two firearms legally within the last week or so, according to FBI agent Ronald Hopper. 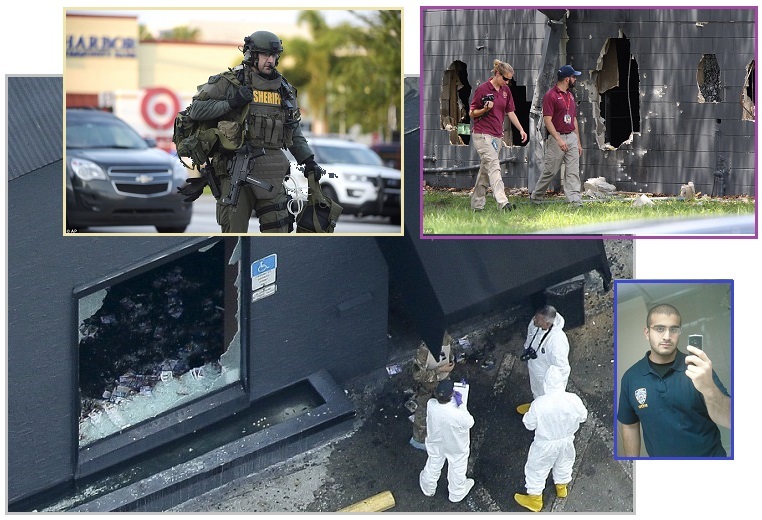 Orlando nightclub terrorist worked for major DHS contractor that secures “90 percent of U.S. nuclear facilities.” Omar Mir Seddique Mateen, an Afghan-American who held two firearms licenses and a security officer license, was employed by the security firm G4S Secure Solutions USA Inc. since Sept. 10, 2007. The Jupiter, Fla.-based company merged with the Wackenhut Corp. after 9/11 and assumed federal contracts. ZetaTalk Opinion 6/18/2016: What changes will occur in Homeland Security and FBI procedures as a result of this mass shooting in Orlando, which clearly bears the marks of being ISIS inspired? The warning signs were ignored. Mateen had a license for assault rifles as he had formerly worked for a Homeland Security contractor and currently worked as a security guard. This, despite being investigated twice by the FBI for terrorist sympathies. The current gun laws would not have screened him out, as he was neither mentally unstable nor a former felon, though was filled with intense hatred. We have predicted that martial law will be declared in almost every country well prior to the Pole Shift, due to the Earth changes forcing homelessness and migration, crop failure forcing starvation, and the breakdown of social services. But terrorism caused by radical Islamic precepts is unlikely to be the trigger because this can be controlled by selective enforcement. The gun laws will be amended and tightened. Trump’s popularity will increase due to his attitude about limiting immigration. But martial law will not be called in the US due to this massacre. There is also the possibility of Electro-Magnetic-Pulse devastation, such as mass blackouts. For instance, riots due to the failure of food stamp cards to work. Will this incite riots? Just look at this lady’s reaction when her card did not work. The perfect storm is brewing. Earlier this year it was widely reported that possibly up to a million of the country’s poorest welfare recipients would lose their benefits. Now, the government has reportedly neglected to pay the EBT benefits for 8 days. 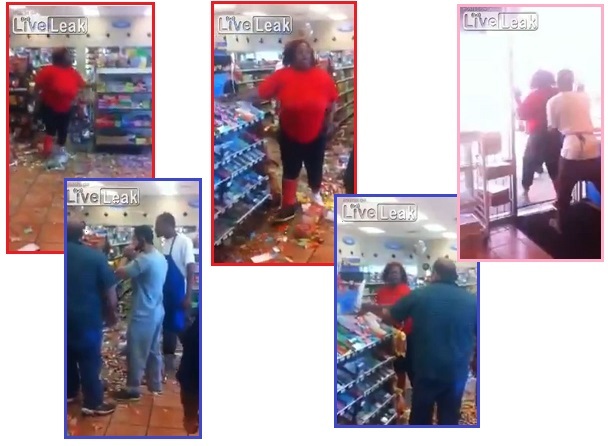 A large woman destroyed a convenience store after having her food stamp benefits card declined. “Call the police, call the police,” the unnamed woman says repeatedly as she lumbers around the store causing havoc. “Call the police. Do your job, do your job.” The unnamed woman began destroying the convenience store after her Electronic Benefits Transfer card was declined. The cards are the main way food stamp recipients are able to access their benefits. They work like a personal debit cards, except they can only be used to purchased authorized items like food and basic necessities.